Insight's research and policy practice provides research and advisory services to clients in order to help them address policy and programming challenges. 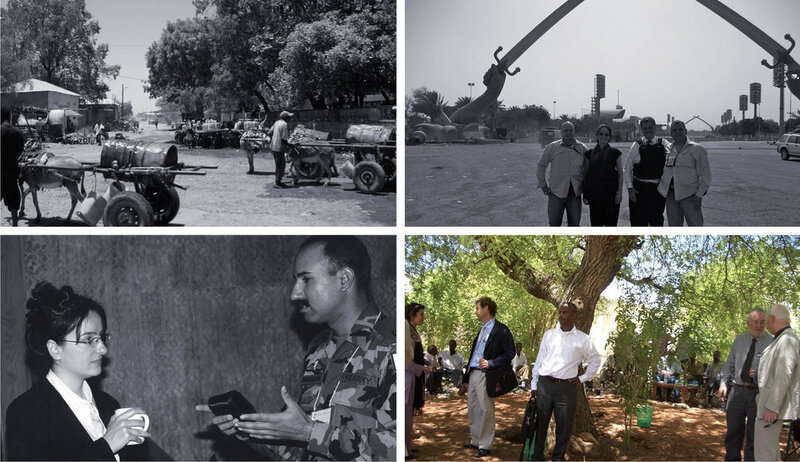 Past clients include governments, United Nations agencies, development banks, rebel forces, and foundations. We offer our clients tailored and timely policy advice to inform and support decision-making in a variety of sectors and sub-sectors related to peacebuilding and rule of law. Our advice is based on in-depth analysis of existing best practice and evidence, and a thorough understanding of the context-specific options and actors. Through our analytical and policy advice services, countries and organizations can assess their options and make informed decisions on the appropriate path forwards. Insight produces state of the art reports and manuals for a variety of clients. Our research services include desk reviews, document analysis, interviews with stakeholders either remotely or in the field, focus groups, surveys, and the production of literature reviews, policy reports, and programming manuals. All of our research outputs reflect the most cutting-edge theory and practice for each given topic, and are based on in-depth, project specific research and evidence-based analysis. Insight works with countries and organizations to conceptualize, design, and implement peacebuilding and rule of law programming, while also helping our clients cultivate the skills to ensure the design and implementation of future programming is successful. In our program design work, Insight places particular emphasis on the real world impact of design choices, the particular country context, and the cost and strategies for the implementation of those choices. Our particular expertise is in community-driven and conflict-sensitive programming that will have a long-term, meaningful impact on peace. Insight knows that monitoring and understanding the impact of programming throughout the programming cycle is both critical to project success and will inform future program design and funding. We also understand the challenges endemic to designing and evaluating programming in conflict-affected environments. We use a range of best-practice methods to help clients evaluate and understand the impact of multifaceted and complex programming, whether it is for internal or external purposes.